SOURIAU - SUNBANK Connection Technologies provides hermetic connectors based on glass to metal seal technology. We have developed our own glass-to-metal sealing technology to deliver the highest performance, enabling very high sealing and reliability to critical missions such as space programs and aviation applications. A connector is defined as hermetic when the air leakage between its 2 faces is below 1.10-7atm.cm3/s under 1 atmosphere difference. 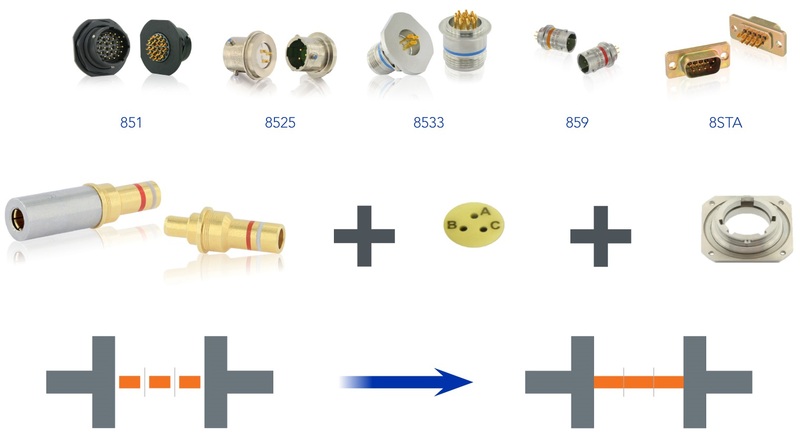 Follow this link to browse our catalogue of hermetic connectors. 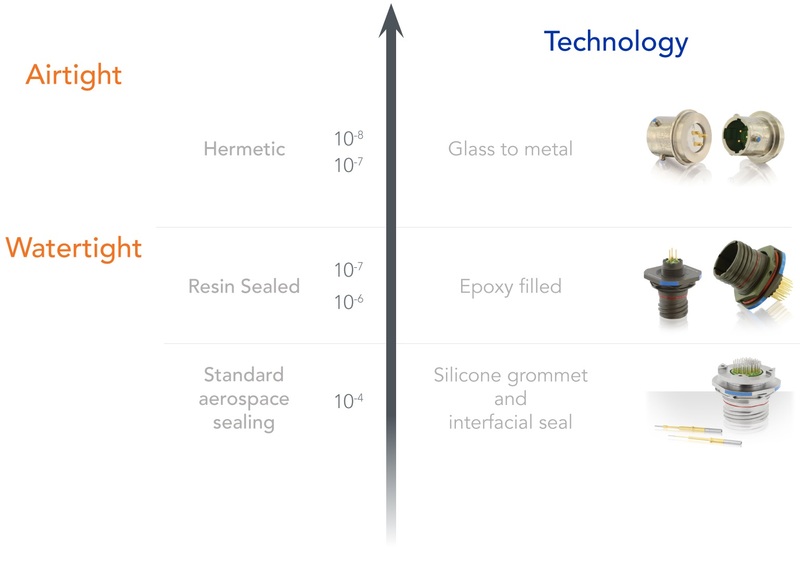 Based on glass to metal seal technology, SOURIAU - SUNBANK Connection Technologies provides hermetic connectors to cover applications which require performances that superseed standard watertight connectors capability, such as high pressure, high temperature, variations resistance, secured hermetic protection, etc. We offer this technology with several product ranges including 851 hermetic series, 8525 hermetic series, 8533 hermetic series, 859 hermetic series, 8STA hermetic series and D-Sub hermetic series.